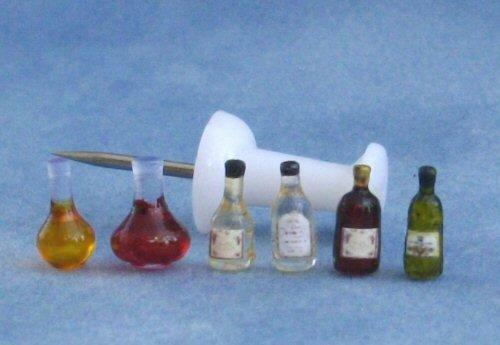 Tiny 1/48th scale set of red and white wine bottles and 2 decanters. 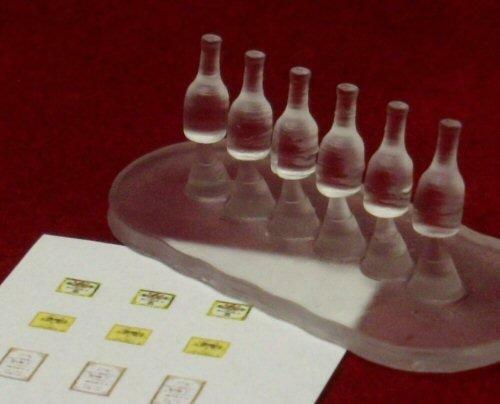 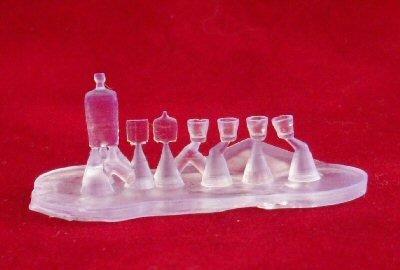 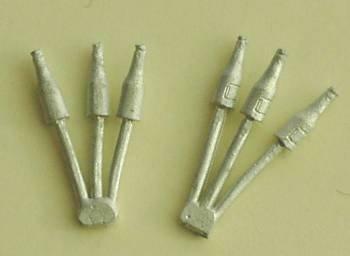 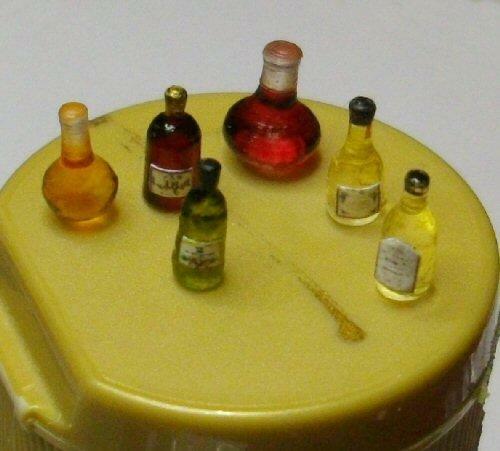 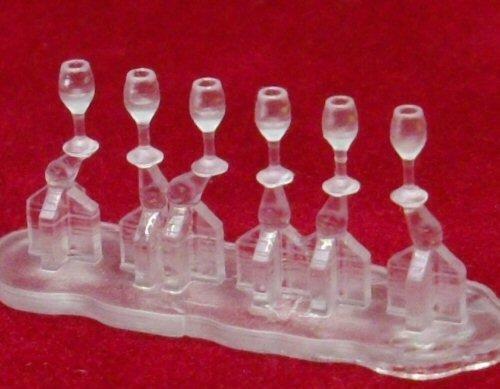 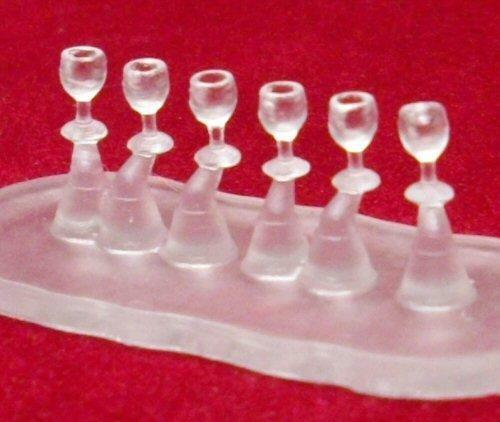 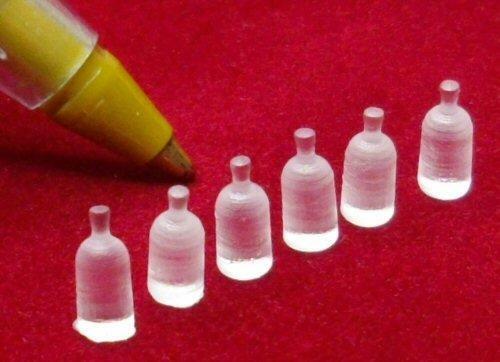 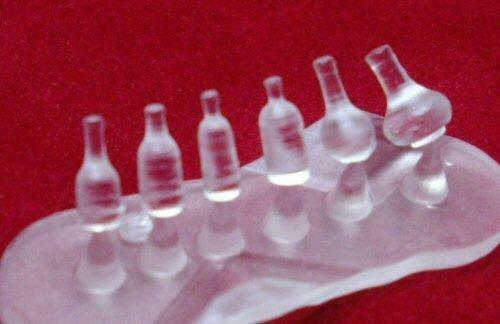 The 6 miniature bottles come on their sprue to make it easier for you to paint with glass paints. 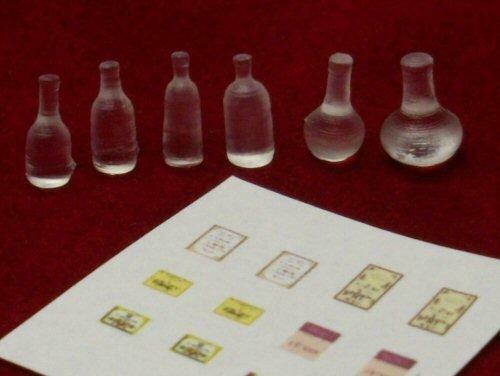 Several labels are also included for that finishing touch.